As life twists us into knots, Past Tense offers a yoga experience that strengthens, stretches and unwinds its members. The studio provides a welcoming, open atmosphere for yoga newbies without pretension or the things that intimidate new students. And, it offers more advanced students the space and expertise to continue and expand in their practice. In addition, Past Tense aims to be an inclusive, welcoming and fun addition to the community. 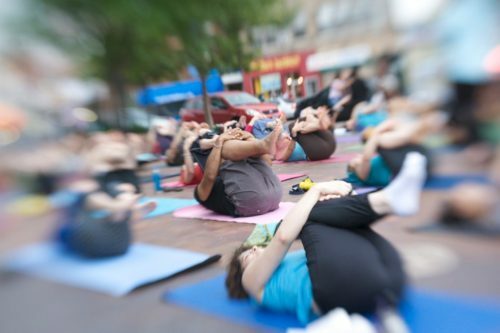 * To acknowledge and embrace that our interpretation of yoga is a blend of many traditions and adapted to the needs of our Washington, DC community.